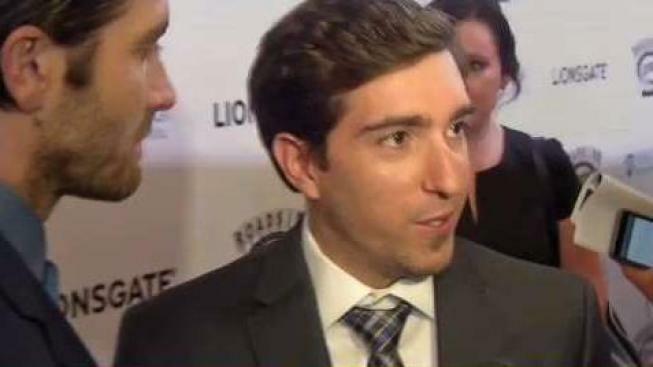 The U.S. premiere of a film chronicling the story of Boston Marathon bombing survivor Jeff Bauman is taking place at the hospital where he and others who were injured in the 2013 deadly attack were treated. The movie, "Stronger," is screening at the Spaulding Rehabilitation Hospital in Boston on Tuesday. It arrives in theaters Sept. 22. The movie stars Jake Gyllenhaal as Bauman and "Orphan Black" actress Tatiana Maslany as Bauman's then-girlfriend, Erin Hurley. Bauman, Hurley and their on-screen counterparts are expected to attend the premiere.